A masonry contractor, architect or materials supplier may submit projects completed between January 1, 2011 and December 31, 2015. The window for projects has been extended to include any projects that have not won awards in the past 5 years. No re-entry of past winning projects. 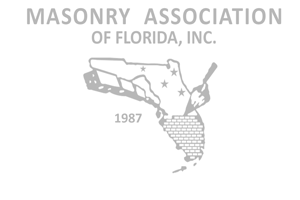 Masonry Contractor must current member of the MAF in good standing, and the job must be completed in the state of Florida. Each contractor or company may submit up to three projects. Each project must be submitted separately, with its own entry form and supporting documentation. The MAF reserves the right to reject any entry based on non-conformance to the specifications. Committee and/or judges may disqualify entries based on their discretion. There must be a minimum of two entries per category for the competition to be held. The MAF reserves the right to move entries to another category at their discretion. Incomplete submissions will lose scoring points and may be disqualified. Please fill in all areas of the form.